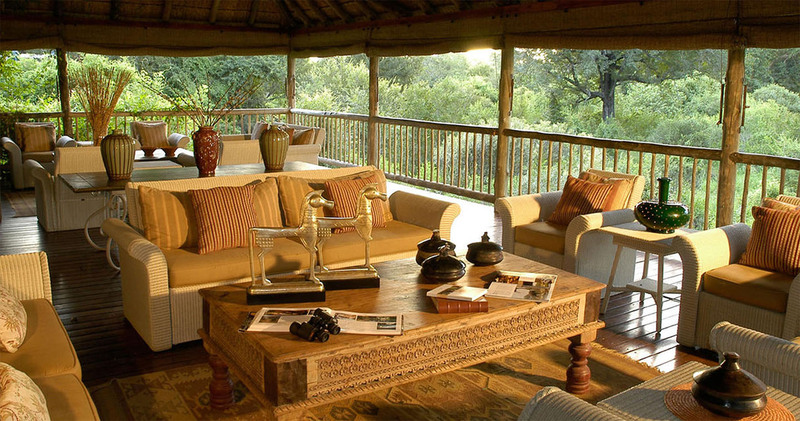 Enjoy your stay at Sabi Sabi Bush Lodge which is located in the Sabi Sand Game Reserve. This luxury lodge which includes 25 beautiful decorated suites will definitely make your holiday a memorable one. All these luxury lodges are air-conditioned and include glass-fronted indoor showers which will give a feeling of freedom and relaxation. 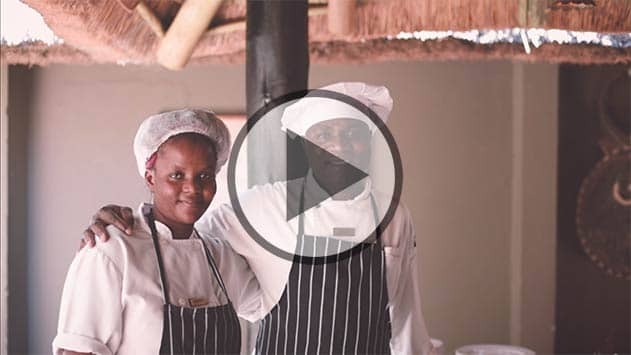 You will feel excellent being in the Sabi Sabi Bush Lodge because of the high quality service which will give you all the attention you wish for. 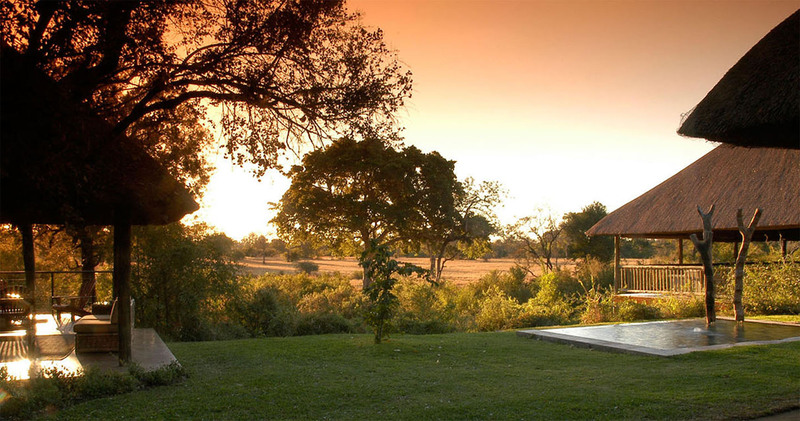 The magical spa is opened at the Sabi Sabi Bush Lodge for you every day. Here you can relax and enjoy the numerous treatments that are waiting for you. 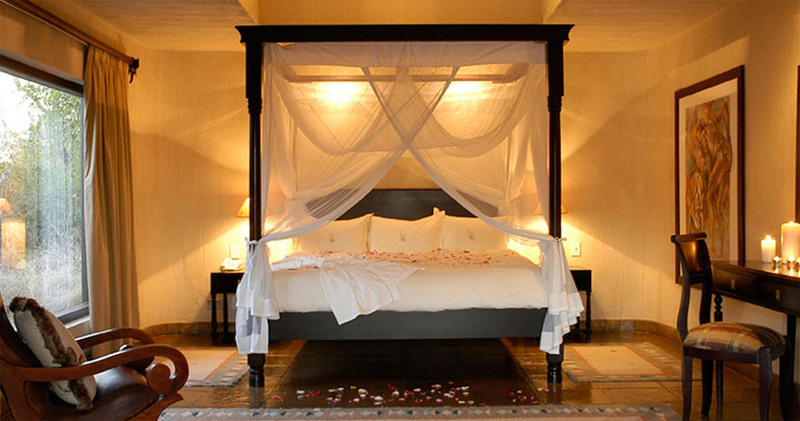 Sabi Sabi Bush Lodge is available for everyone, also for honeymooners. The Mandleve Suite, which is absolute luxury, is available for the romantic honeymooners to make their honeymoon a special one. This special suite consists of a refreshing pool, an open plan lounge and a dream bathroom with an outside shower. Honeymooners can also enjoy in-room dining at additional charge to make their honeymoon just perfect. Several amazing activities can be done. You can choose to spot amazing animals or to go bird watching. The lovely swimming pool can be used to cool off. If you want to go on an exciting safari, you can choose to do that in the morning or afternoon or both. First you can enjoy a morning tea followed by the morning safari. After that, a delicious breakfast will be offered while you have some discussion time with the ranger about your wishes for the day. If you like, a tasty lunch and afternoon tea are also available for you. In the afternoon, the afternoon safari will start and will take around three amazing hours. In the evening, a wonderful dinner will be cooked for you to end the day. All meals can be enjoyed in the open air boma. 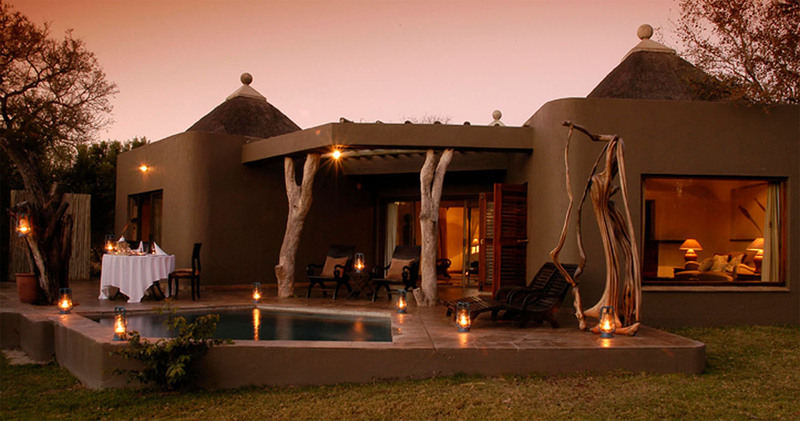 Book your Sabi Sand safari at Sabi Sabi Bush Lodge and travel to and from the reserve hassle free! When staying for three nights we may offer Skukuza Airlink flights almost free of charge. The package includes return flights from Johannesburg to Skukuza Airport (SZK). The return package costs ZAR 46,353 per person sharing (valid between 11 January 2019 and 19 December 2019). We had an absolutely amazing three night stay at the Sabi Sabi Bush Lodge. We are a family of five - two adults, three children aged 12, 9 and 4 (almost 5). The hotel let our youngest child participate in the game drives, though 6 is recommended as the minimum age. We had two rooms - well appointed - but not connected, so on the night when lions were sighted on the property, we split into girls and boys rooms, rather than kids and parents, as you couldn't go outside without a ranger. The game reserve is amazing - we saw all of the big five animals and more. Guide was knowledgeable and friendly. Food was truly outstanding and the all round service and professionalism of the hotel was second to none. It really was a once in a lifetime holiday for us. Completely amazing. Five stars all round. We stayed at Sabi Sabi for 3 nights and enjoyed every minute. We arrived on a charter flight with Federal Air from Jo'berg and were greeted by one of the rangers in his Land Rover at the side of the air strip near Sabi. After a short transfer, during which we saw 2 giraffes, we were greeted by the charming Lauren at reception. The rest of our stay was faultless. We had delicious food, a fantastic suite with huge comfortable bed and enjoyed 6 safaris - one each morning and evening. Saw so much wildlife, big and small, that it would take too long to describe here. All the staff were very friendly and helpful. Ben, our ranger, looked after us when we were out in the bush. His knowledge regarding much of the wildlife we saw made the safari experience even more rewarding. This was our first visit to South Africa and to Kruger and I would recommend Sabi Sabi 100%. The spa at Sabi Sabi Bush Lodge was rewarded the winning spa group specialising in African Safari Spas at exclusive African Lodges. 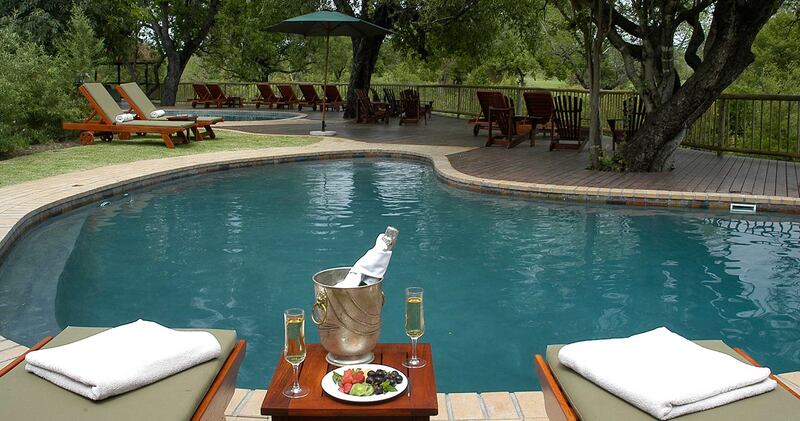 Please note: Indicated price is for a 'Suite', which is the most basic room available at Sabi Sabi Bush Lodge. A single supplement only applies if 3 singles or more are booked. Tariff is the sharing rate plus a surcharge of 50% per person. 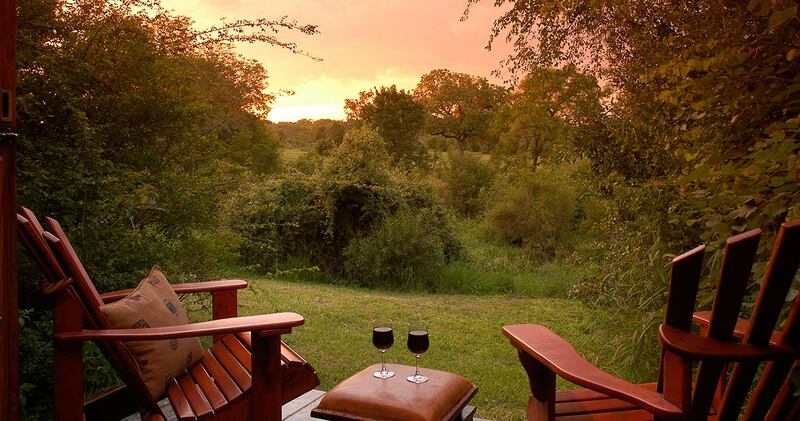 Read all about travelling to Sabi Sabi Bush Lodge on our getting to Sabi Sands page. Sabi Sabi Bush Lodge welcomes children of all ages. Children of 3 years and younger stay free of charge in a cot. Childen between 4 - 12 years pay applicable rate when sharing with 1 or 2 adults (please ask for rates). Children of 13 years and over sharing with 1 or 2 adults will pay adult rate. hildren occupying their own room will pay the full adult rate for a maximum of 1 child ( if 4 children sharing the remaining 3 will pay the applicable children's rates). Children under the age of 6 years are not allowed on safaris. Children between the age of 3 and 6 years may only accompany their parents / guardians on safari if there is exclusive use of a safari vehicle. The usage of an exclusive vehicle is subject to availability, a surcharge and restrictions at sightings due to possible disturbance to animals and/or guests on other vehicles.vBabysitters can be arranged at a minimum rate of approximately ZAR R100 per child per hour which is to be paid directly to the babysitter. Babysitters are to be booked with reception on arrival. Children 4 years and younger will not be allowed in the boma for dinner. Dinner will be arranged in the Safari Lounge between 17h00 and 19h00 or as room service. Breakfast and lunch as per normal with parents / guardians. Sabi Sabi reserves the right of allowing or disallowing children on safari for any possible reason and this is at the discretion of the General Manager / Ranger of the vehicle. Bush Lodge can accommodate 3 family rooms with a maximum of 3 children per room. Elefun Centre: Target age group: 4 - 12 years. Children under 4 years need to be accompanied to the centre by an adult (parent, family member or child minder, which may be booked through reception). When there are evening activities in the lounge, children under 4 years need to be accompanied by an adult (parent, family member or child minder, which may be booked through reception). When the EleFun Centre Coordinator is supervising the children in the evening, her responsibility ends at 21h30, after which time a child minder may be booked to sit with the children. We hope you have found all information needed to decide that Sabi Sabi Bush Lodge in the Sabi Sands Game Reserve is the perfect place for your next travel adventure. Please fill in the contact form and we will get back to you soon!